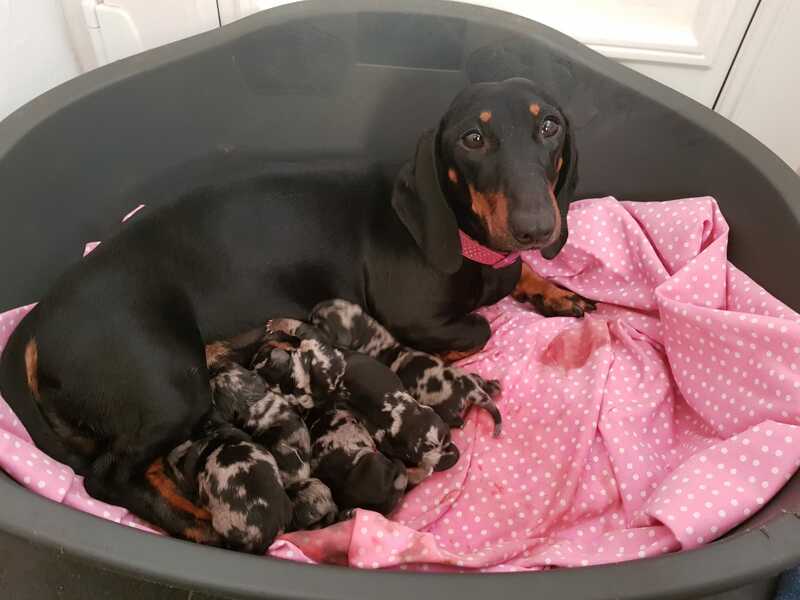 For sale I have a beautiful litter of 6 dapple dachshunds(standard) 3 boys and 3 girls (1 girl has already sold) they will be ready for a new forever home on Thursday the 25th of October . 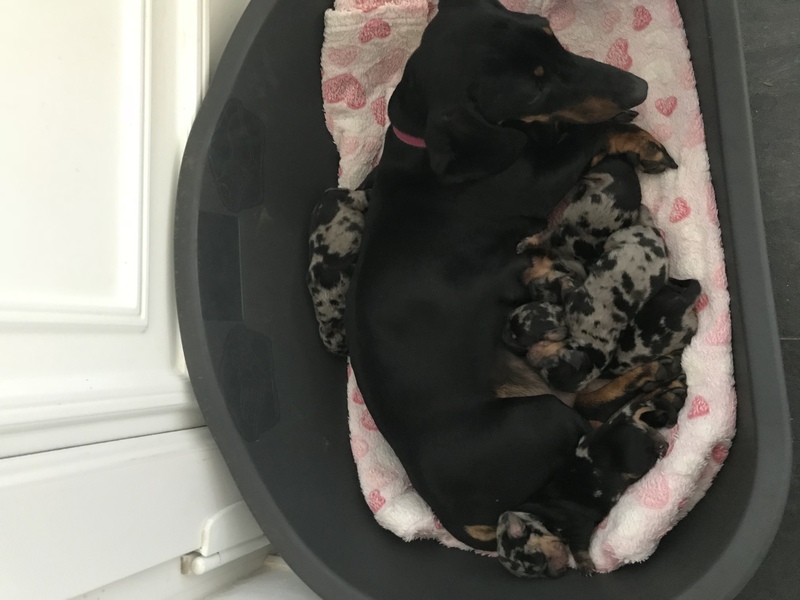 The mother is a family pet who has been raised with children and has a fantastic temperament. They are pure breed but dont have papers . Will be chipped , wormed and vet checked before they leave to go to their new homes. Any questions please don’t hesitate to ask . 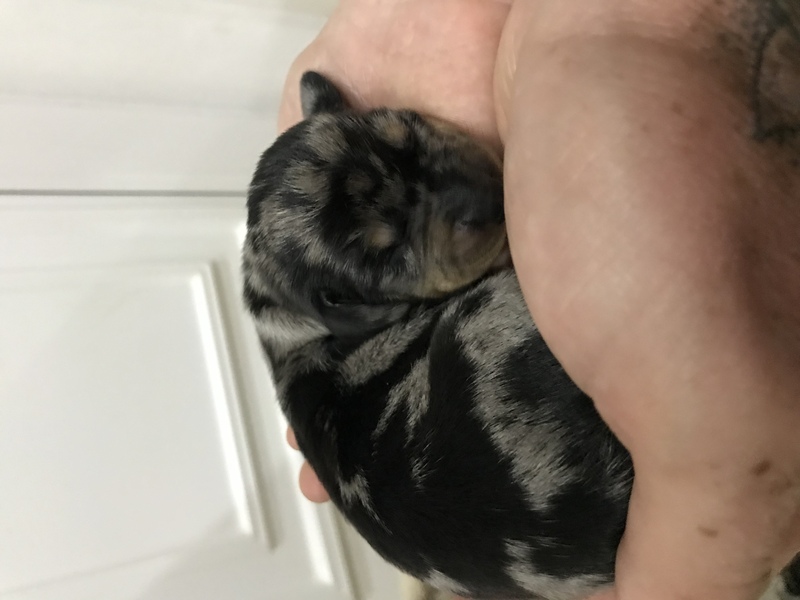 Veiwing is welcome and a £100 none refundable deposit will secure the puppy of your choice . Girls are £1000 and boys £950 . 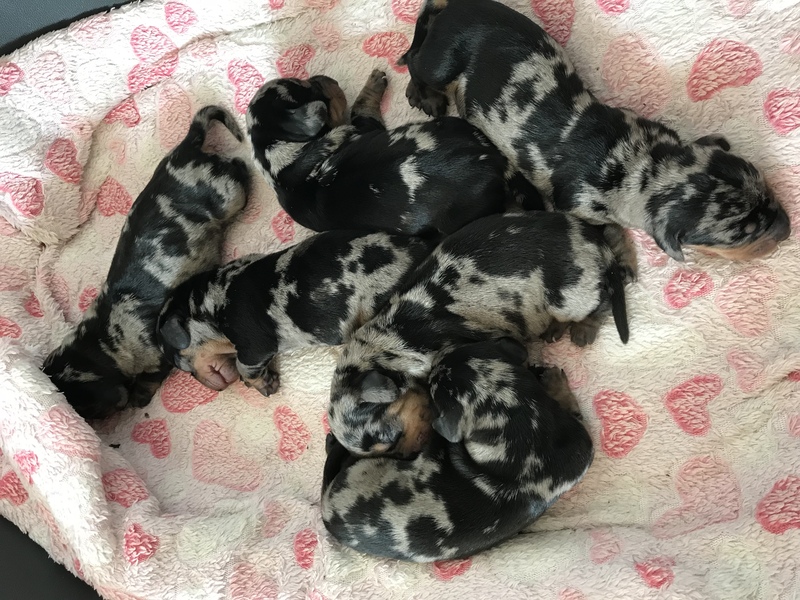 Photos will be updated as the puppy’s grow .